A lot of people know about the variety of sheds we carry in our Perth location, but they don’t know about how easy it is to custom design their own sheds with our 3D Colour-Picker. The 3D Colour-Picker is a program built into our site which allows customers to pick the colours of every part of every shed in our inventory. The 3D Colour-Picker allows anyone to choose every colour, down to the smallest part of a shed, in the comfort of their own home on their computer. The categories are arena, industrial commercial building, domestic skillion shed, domestic gable sliding door shed, domestic gable roller door shed, farm shed, barn, and carport gable roof. This pretty much covers most needs for residents of Perth or WA. The process is easy. First, you click on to a category. Then, you simply start choosing colours. There are eight categories, and twenty colours to choose from. On a barn, you can customise the colours of the windows, gable end capping, gutter, roof, down pipe, exterior walls, roller doors, and private access door. 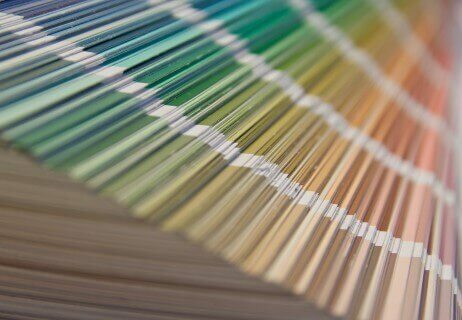 You may choose from the following colours: surfmist, evening haze, shale gray, classic cream, dune, windspray, pale eucalyptus, sandbank, paperbark, bushland, ironstone, wilderness, jasper, headland, woodland gray, deep ocean, cottage green, loft, manor red, and monument. It is simply a matter of matching combinations after that. Statistically, this is like an 8 x 20 lottery, and produces a possible 5,079,110,400 different colour combinations. Obviously, you won’t have time to consider that many. Luckily, the 3D display makes it a lot easier to choose. On an arena shed, you may customise the gutter, roof, gable end capping, and down pipe. On a commercial-industrial building, you may customise the gutter, roof, windows, down pipes, roller doors, private access doors, exterior walls, and barge capping. A domestic skillion shed includes options for the barge capping, windows, roof, gutters, down pipe, exterior walls, private access door, and roller doors. A domestic gable sliding door shed includes options for the windows, roof, gutters, gable end capping, down pipe, exterior walls, private access doors, and sliding doors. The domestic gable roller door shed allows you to choose colours for the roof, windows, gutters, down pipes, gable end capping, exterior walls, roller doors, and private access door. The farm shed offers choices on the windows, gutters, roof, exterior walls, gable end capping, roller doors, and private access door. The carport gable roof allows you to choose the gutters, roof, gable end capping, gable infill, and down pipes. This is one of the major differences between the typical DIY shed and a high-quality, professionally-installed shed like those at Action Sheds Australia. When you buy a DIY shed, not only is it of a much lower quality, but most of them are very limited in their colours. Some only come on one set of colours, which you may or may not like. With our 3D Colour-Picker, everybody is able to find a combination of colours that they like. In addition, they are built with the superior materials that our customers know and love. The sheds are made with BlueScope ZINCALUME steel and COLORBOND steel cladding. All sheds from Action Sheds Australia come with a 10 year structural warranty and a warranty of 15 years on the cladding. In addition, all of our sheds are ShedSafe approved, which is a “badge of honour” in the industry. To attain a ShedSafe certification, all materials and finished products have to meet their rigorous standards. Also, everyone who works for us or erects the shed has to be ShedSafe certified. This requires extensive training which qualifies our employees to advise you on the safest shed for your situation. Locations are graded on factors such as wind speed, climate, landscape, factors that affect wind such as nearby buildings or trees, and other things that may affect the level of safety required for your location. In extreme weather, an inferior shed can become a projectile, seriously injuring your family or your pets, or damaging your property. ShedSafe certification ensures that your shed will be safe under any conditions. When you put it all together, you get a safe, high-quality shed in the colours you like, with highly-trained, knowledgeable professionals to help you in the selection process. Our erectors are also highly-trained professionals who do great work in prompt fashion. Whether you are looking for machinery sheds, barns, storage sheds, industrial sheds, or garages, we will be happy to accommodate you from our location in Hazelmere, outside of Perth. For more information, call 1300 778 628. Our professional staff will be happy to customise a solution for your property’s unique requirements.